Irish teapots are a pleasurable way for you to serve. Select from large Irish teapots along with pots for one. 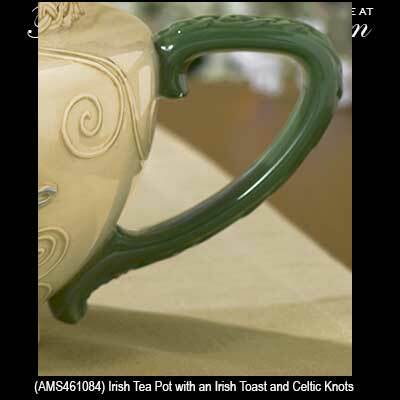 The Irish teapots at The Irish Gift House are embellished with icons that include the Claddagh and shamrocks along with Irish blessings and Celtic knot-work. 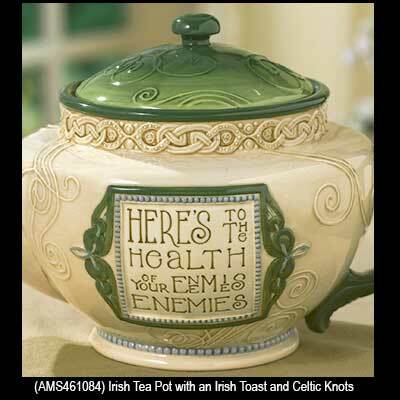 This Irish teapot and cup is a tea for one set that is enhanced with the Claddagh and Celtic knot-work. Please take a look at our Belleek teapots for even additional selection from The Irish Gift House.